Our last newsletter looked a bit like alphabet soup. 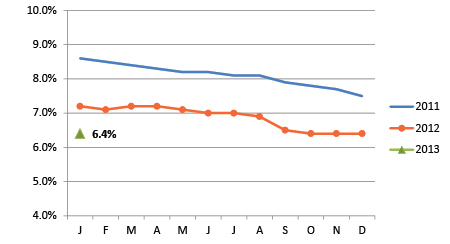 We questioned the continued use of the Local Area Unemployment Statistics (LAUS) for our regional employment figure. We feel that the employment figure we get from the LAUS does not track well with the Quarterly Census of Employment and Wages (QCEW). The QCEW is the most complete measure of employment because it collects data from all business establishments that participate in the unemployment insurance program. But what the QCEW gives us in accuracy, it takes away in terms of immediacy — it often lags by six to eight months. This month’s CES data was delayed by a month so the Bureau of Labor Statistics could benchmark the data to the most recent QCEW data. This most recent release is for January data. The employment level did not change between December and January, but the overall level is up by about 7,000 from one year earlier. 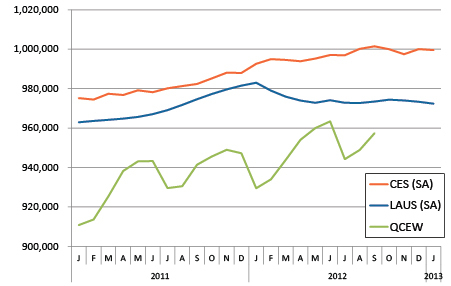 By contrast, the LAUS data shows regional employment dropping by more than 10,000 between January 2012 and January 2013. We will continue to monitor the local and peer metro unemployment rates from the LAUS. Kansas City’s unemployment rate was unchanged at 6.4 percent between December and January, but is down from 7.2 percent in January 2012. The region continues to be in the middle of the pack compared to other peer metro areas. 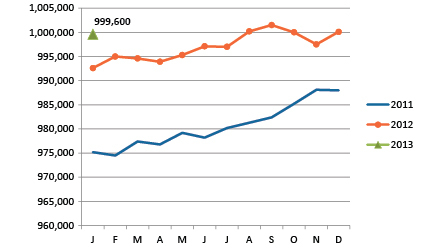 Employment was essentially unchanged between December and January, but is up 7,000 from one year earlier. The seasonally adjusted unemployment remained at 6.4 percent as we entered 2013. 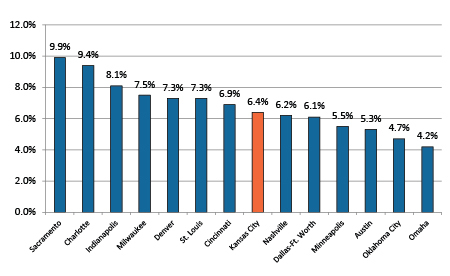 Kansas City's unemployment rate is firmly in the middle of its peers. 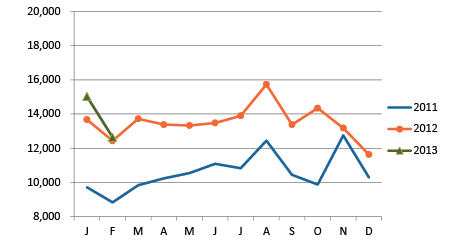 After a slight increase in January, job postings for February are even with 2012.